This is one of those issues that you might miss at first, right up until you open your LG dishwasher and find dirty dishes, that is. The primary issue is that your dishwasher appears to work as normal. It fills up fine with water, but right before it starts the wash cycle, it drains again. It could stop or it could continue the refilling and draining cycle indefinitely. When this happens, it is likely that the flow meter has gone faulty. The flow meter is responsible for sensing the amount of water that has filled the washer. If your washer is draining suddenly or it is overfilling, the sensor is not working properly and will need replacement. In truth, getting to your flow meter in your LG dishwasher is harder than actually making the repair. 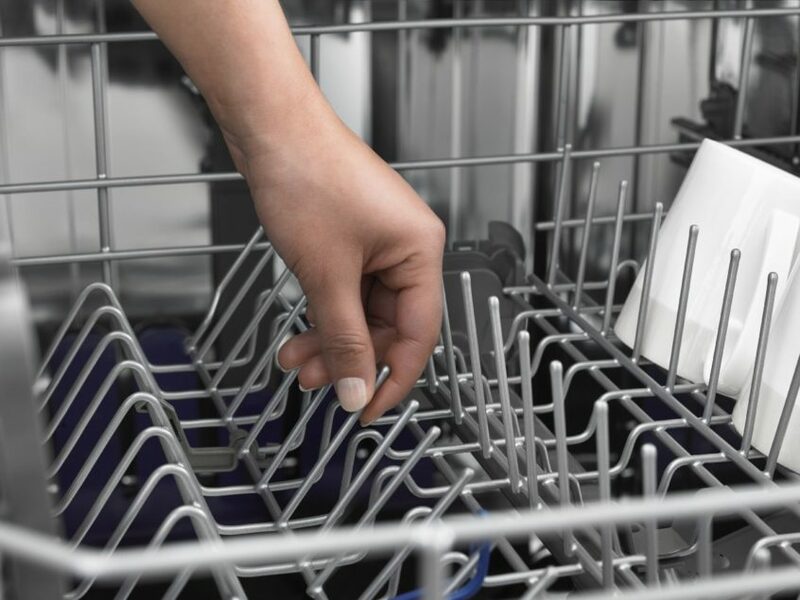 You will need to disconnect your dishwasher from the power and water sources in order to pull it out from the enclave. Be sure to secure the dishwasher door after removing the mounting screws as you will need to turn the dishwasher upside down so you can reach the panel underneath. Unscrewing the panel, you will then be able to see the flow meter attached to the water tub. The flow meter sensor will disconnect from the connector rather easily. However, the next step, which is to disconnect the flow meter from the water tub, may require a bit of muscle. Be careful not to damage the housing when you are prying it out. The new flow meter can then be installed easily by plugging it into the ports. The dishwasher panel can be reattached and your dishwasher can be reassembled.